If your home is beginning to age and has reached the five year mark, you've probably noticed that the house is changing in ways that perhaps you couldn't have expected. Our homeowner inspection is an independent, unbiased evaluation which helps you understand your Kitchener, Waterloo, Cambridge, Guelph, Brantford and London area home's condition, identify and address potential concerns before they become larger issues, and budget for future repairs and replacements. Getting us to perform a homeowner inspection is just the start of a long-term commitment we make to all of our Kitchener, Waterloo, Cambridge, Guelph, Brantford and London​ clients. 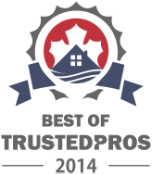 360 Inspection Services is dedicated to delivering the best homeowner inspections throughout Kitchener, Waterloo, Cambridge, Guelph, Brantford and London.